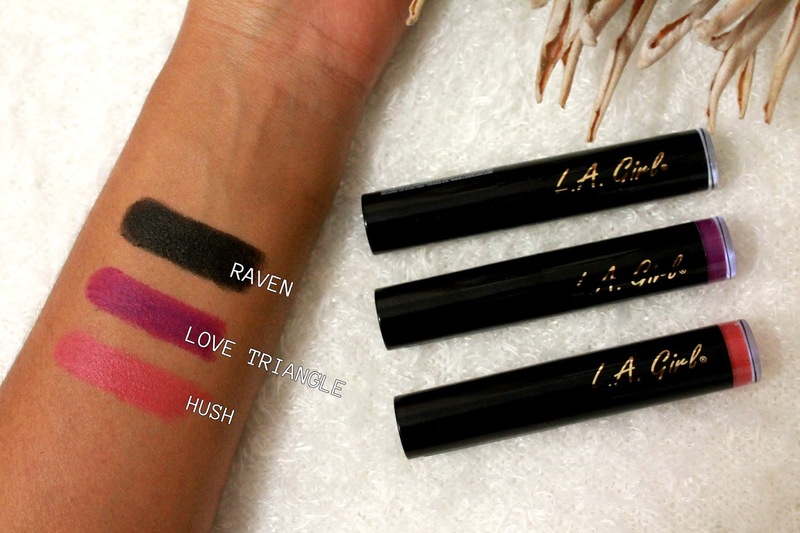 If this is the first time that you are hearing about or seeing the L.A Girl make-up brand. All I need to say is where have you been? 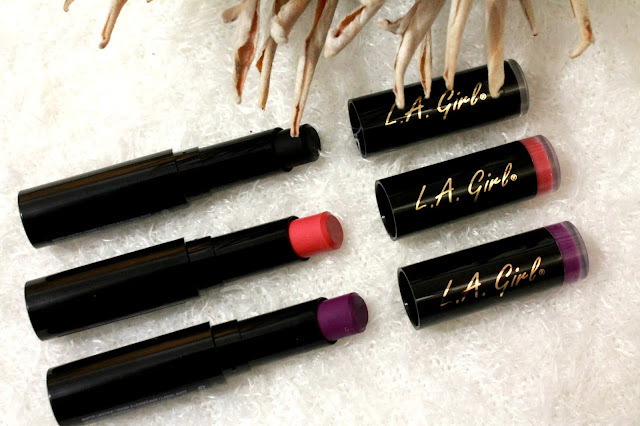 The L.A Girl make-up brand has been dominating the social media spheres and it’s quite clear as to why. The brand is positively known for it being an affordable, great quality international cult drug store make-up brand & with that said I’ve been seeing quite a few professional make-up artist proudly walking around with L.A Girl products in their kits which just goes without saying how great these products actually are. 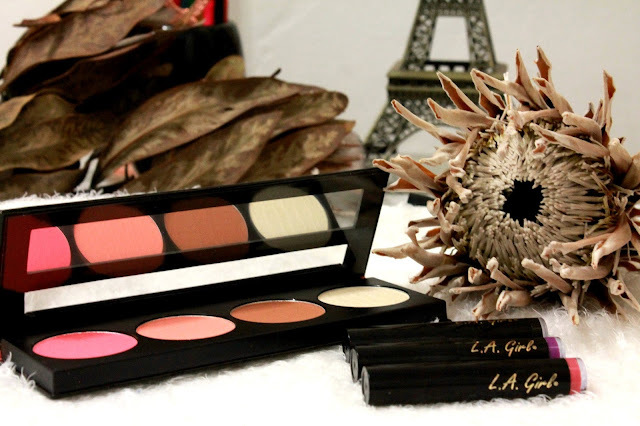 I was beyond excited when I managed to get my hands on one of the L.A Girl GLOW blush palettes. 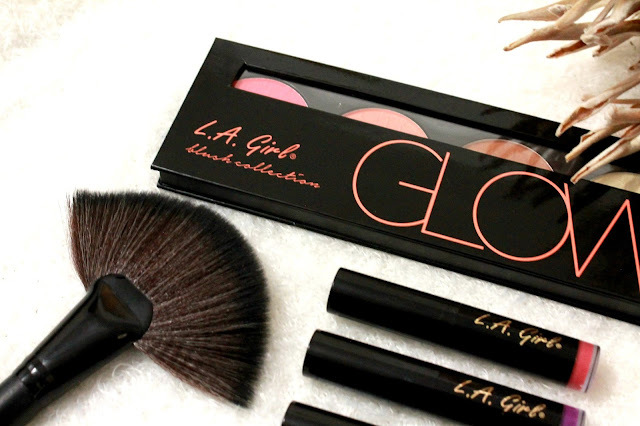 The L.A Girl blush collection offers 4 gorgeous blush palettes such as GLOW, PINKY, SPICE & GLAM. Each collection pairs two shades of blush with a co-ordinated bronzer and highlighter to provide calculated colour harmony. These palettes are intensely pigmented for longevity and effect- tailor made for those make-up divas. Each palette instantly contours when bronzer is applied to the cheeks, blusher to the apples of the cheeks and highlighter above the cheekbones and on the brow bone. The blendable colour has both matte and shimmery finishes for a multi-dimensional colour statement. The L.A Girl blush collection palettes are priced at R99.95 each and are available exclusively at Dis-Chem pharmacies nationwide. Life is short, buy the Lipstick. I love a good matte lipstick but these L.A Girl matte flat velvet lipsticks has become my favourite. If you are looking for great colour pay off and amazing fashion forward shades this is the lipstick just for you. I just love how these lippies are filled with moisture, they literally glide on like silk on lips. Shea butter has been added to assist with hydration so that lips feel as good as they look. You’ll be breaking the colour rules without breaking the bank. I've got a competition currently running on Facebook whereby you can stand a chance to actually win L.A Girl Blush Palette in Glow. All you have to do is follow the link: here & enter! Superb. I really enjoyed very much with this article here. Really it is an amazing article I had ever read. I hope it will help a lot for all. Thank you so much for this amazing posts and please keep update like this excellent article. Use PayPal's Credit Card Generator to generate random credit card information for testing. You can create test versions of Visa, Mastercard, American Express, Discover, Maestro, or JCB credit cards.